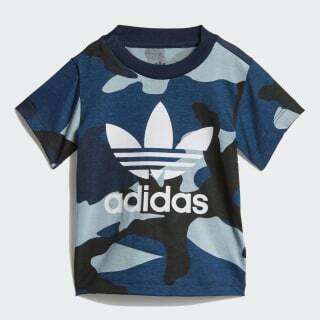 A cotton tee with a camouflage-inspired print. A modern print updates this sporty essential. 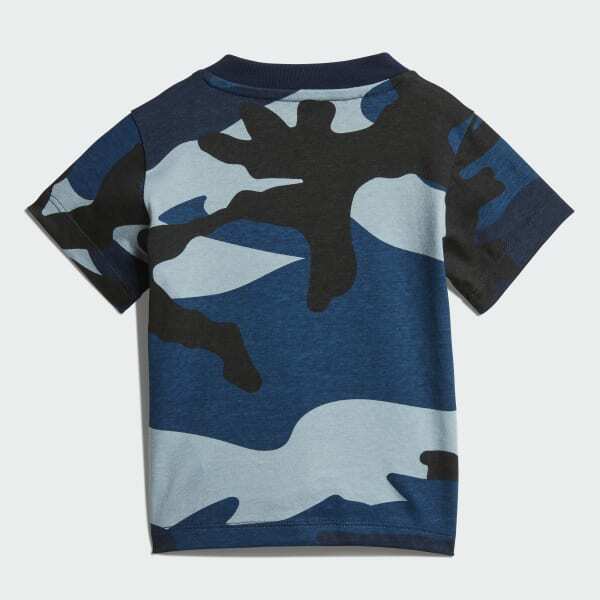 A colourful camouflage pattern adds flair to this infants' t-shirt. An oversize Trefoil logo gives it an authentic look. A shoulder button makes it easy to take on and off. An all-cotton jersey makes this tee extra soft.